Simple rules and a framework to follow for writing your board cv. Preparing a traditional cv or resume is something that we are all pretty familiar with. However, whether you are a new or aspiring company director, when it comes time for you to prepare a resume for a board position, there are some particular things that you should cover and focus on, and it can make the process a little confusing and overwhelming. To help you on your process, there are some simple rules of thumb to follow, and elements to include, when writing your director resume. Do your research on the organisation and industry for which you are applying to join, and customise your cv to meet their unique needs and environment. Particularly if you are being approached by, or approaching, a board based on your specific skill-set. Use the insights from your research to demonstrate your relevant leadership skills, knowledge, skills, and networks in a context that makes sense and is relevant to the directors receiving your cv. You need to strike a fine balance between showcasing enough information without making it so long that reading it looks like hard work. Best practice is to keep your board cv to approximately 2-3 pages in length. Make it easy for the reader to pick up on the critical points in your CV by using headings and dot-points. In addition to you re-reading, spell-checking, and proof reading again, ask a trusted person – preferably someone who sits on a board – to check over your cv. Ask them to provide feedback on content, as well as any errors they may pick up. In this section, include approximately three sentences that describe you as a director candidate. Cover who you are and what you can bring to the board with a focus on your leadership and strategic abilities, collaboration skills, and industry expertise. If you have never previously sat on a board, include examples of how you have identified goals, unified a team, overcome obstacles, and achieved business, strategic, and/or financial success in a workplace or other organisation/group setting. 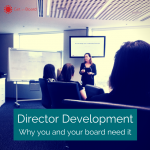 If you already sit on a board, include a brief overview of your current directorships. Note any specific responsibilities / roles that you hold (e.g. Treasurer, Committee Chair, etc.) and the key contributions you have made to the board and organisation. If you are an aspiring director, include any groups or committees that you are a part of that don’t fall within the traditional ‘board’ definition (for example, state-based institute or society committees, workplace committees, or other similar groups). Cover up to the past 10 years of your career with a focus on high-level descriptions of your progressive responsibilities, control, oversight, leadership, and board reporting requirements. List your key achievements as they relate to the business, strategic, and financial outcomes of the organisation. Make reference to any specific and relevant expertise that you have developed over your career. 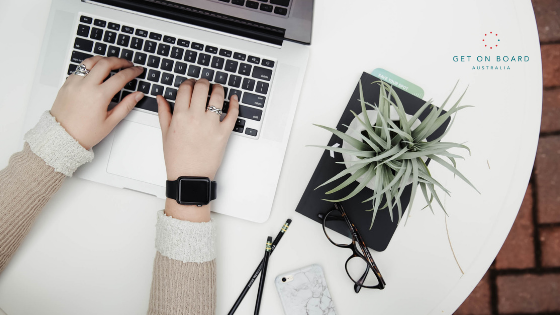 A resume is a place where it is important (even essential) to focus on measurable outcomes, in other words, the way you have driven the organisation forward [or contributed to the organisation’s business, strategic and/or financial outcomes]. Don’t just list the activities you’ve done or the inputs you’ve managed. I like to call it ‘answering the “so what” question’. Instead of: Team lead for the XYZ project. Consider: Implemented the XYZ system delivering on the projected $X in savings. Instead of: Answered customer questions. Consider: Contributed to customer retention rate of 98% by providing authoritative and complete answers to questions. Instead of: Managed $150,000 business unit. Consider: My $150,000 business unit grew revenue by 27% year-over-year, with a profit growth of >15% annually, and increased market share from 15% to 35%. Contrary to popular belief, you don’t need to hold a qualification or certification to be a company director. Therefore, use this section to note significant and relevant education that you have completed and any qualifications received. Remember to keep it relevant. It does, however, benefit you if you have had previous formal governance education (like Boardroom Bootcamp) so be sure to include it if you have completed it. If you hold any relevant memberships, include them. If not, keep this section out. Examples include Australian Marketing Institute, Chartered Accountants, Australian Human Resources Institute, CPA, etc.. Note down any relevant acknowledgements, awards, and/or honours you have received. Be sure to include any specific information that the board / nominations committee has requested. Check the position advertisement and/or recruitment pack to know what to include in your resume. 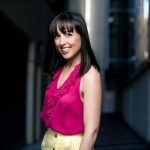 Following these rules of thumb and using the director cv blueprint will make preparing your board resume a little less overwhelming so that you can focus on being excited about your potential future board seat. Sign up to receive our FREE Board Resume Writing e-Workshop. 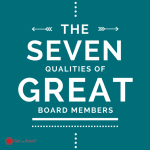 7 responses on "Preparing your Board Resume"
I am an “aspiring director”, recently left Australia Post after 25 wonderful years, spending the last 10 yrs as a senior executive. I have over the years demonstrated that I am an excellent communicator with superior interpersonal skills, capable of motivating staff to peak performance. Dedicated professional with strong work ethic and on ongoing commitment to ensuring the highest levels of efficiency and productivity. Developed a passion for engaging with businesses and the broader community to deliver truly innovative solutions. You can also check out our Get on Board membership program for a continued development program suited for just prior to joining a board, and for your first few years.